Yesterday, I set off for a 10-day training camp in Spain. January training camps basically serve as the start of the season and from this point forward, I really have no idea my schedule and how often or little I'll be home. Different seasons lead to different schedules and I've had years where I've had at least two separate nearly 2-month blocks on the road. Right now, I have no idea how 2017 will play out and to be honest, that excites me. It might look like chaos, but that's organized chaos. I live out of a suitcase and in hotels quite well. There is something soothing about it but it requires planning and organizing. There are times when I'll have a less than 24-hour turnaround at home, which basically means doing laundry and heading back out. Due to this, I like to make packing my suitcase as simple as possible. 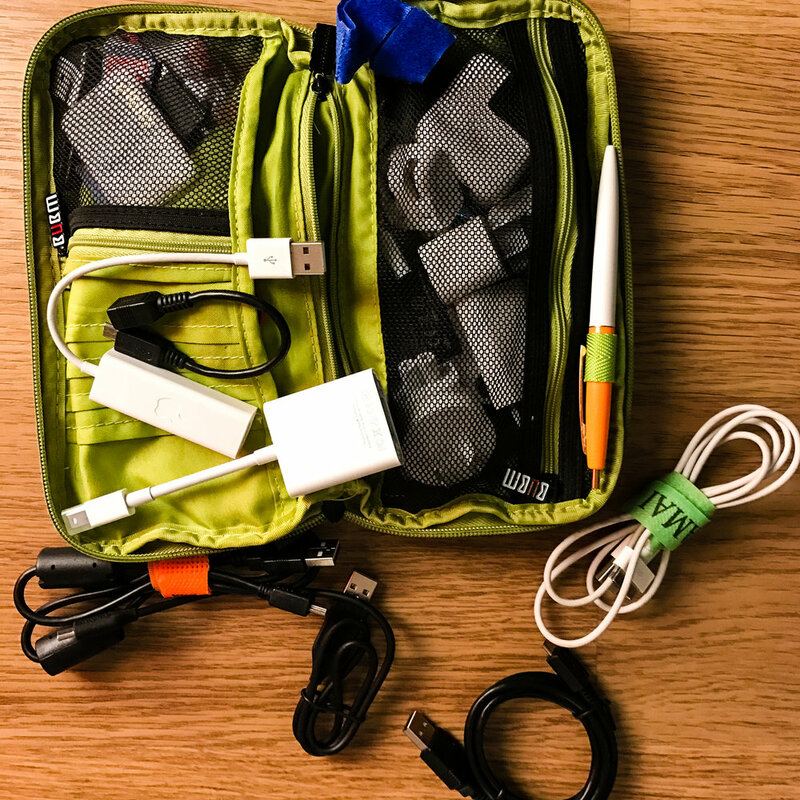 I own doubles of nearly everything and it lives in my bag so I don't run the risk I leaving my glasses or UK laptop phone charger at home. Earlier this week, I dumped out my suitcase and went through everything piece by piece to see what may need replacing or refilling. It also meant I got rid of stuff that I don't use anymore and simply cleaned out all that random stuff that winds up at the bottom of a bag. And then I set off on a few last minute errands to make sure everything was stocked up and ready to go for 2017. First up, more charging cables and a dongle (yes, I giggle every time I say dongle). I travel with three phone chargers--one for my suitcase, one for my backpack/spare battery and then one with my GPS for a rental car. At training camp, I'm doing presentations and training, so instead of always needing to borrow a mac-to-projector dongle, I finally got around to buying my own. The Lush purchases are the real excitements. 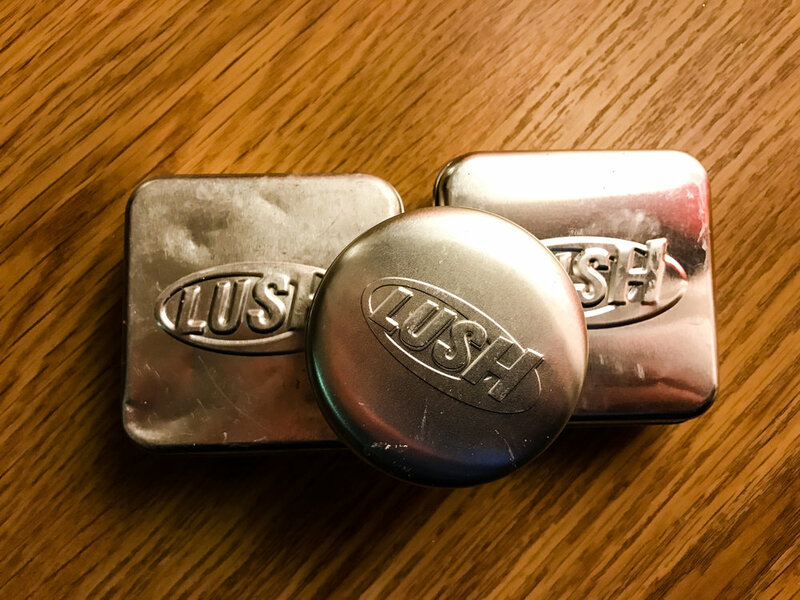 Everyone that travels frequently needs to know about Lush's bar shampoo and conditioner. Bar shampoo and conditioner! When you live out of your suitcase for weeks at a time, bottles take up a lot of space and add weight. These bars eliminate both those issues. I've been using them for over two years and I don't think I could ever go back. They've got a huge variety to choose from. I go for the ones that moisturize, designed for blondes and make my hair smell yummy. It took me awhile to find a conditioner that worked but trial and error led me to the Jungle. I'm also a fan of the (affordable) travel tins to keep them from rubbing on everything else. I probably replace those every six months. And there you have it. I'm set for 2017 travels!